is a research fellow at the Institute for the Cultural and Intellectual History of Asia at the Austrian Academy of Sciences. This volume examines the formation and development of Śaiva tantric funerary practices (antyeṣṭi) and rituals of post-mortem ancestor worship (śrāddha) as preserved in the earliest extant strata of textual sources. These tantric scriptures and ritual manuals of the Śaiva Siddhānta cover a period from about the 5th to the 12th century CE. A close analysis of individual texts shows how the incorporation of death rites into the tantric repertoire was directly linked to the tradition’s development from one focused on private worship and limited to ascetics living outside society to a dominant religion throughout the Indic world. A focal point of the study is how, in this process, Śaiva ritual specialists catered to initiates who were established in the brahmanical householder society, with their death rites essentially coming to serve as the model for Śaiva equivalents. To make these rites more meaningful in terms of Śaiva doctrine, cremation and post-mortem ancestor worship were redefined as a means for liberating the deceased person’s soul, this through its funerary initiation and subsequent worship in manifestations of increasingly potent forms of Śiva. 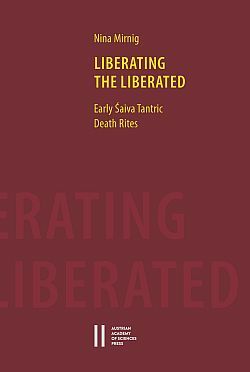 The book first introduces the socio-historical context of early Śaivism, and then in five chapters traces the development of Śaiva funerary rites in the available text sources, examining also the extent to which Śaiva propagators were willing to tolerate doctrinal compromises to be able to include a wider clientele. The appendices contain editions and annotated translations of the passages on cremation and post-mortem ancestor worship from the pre-9th century tantric scriptures Svāyambhuvasūtrasaṃgraha 22.9–20, Sarvajñānottara 12 and 13, and Kiraṇa 60 and 61, as well as the chapters on cremation and post-mortem ancestor worship in the 12th-century South-Indian ritual manual Jñānaratnāvalī.